Until recently, dental patients have been told that repairing teeth with white fillings was just for cosmetic purposes, and white fillings may not be as durable as the metal restorations. This philosophy is now passe. With the modern technologies of dental adhesion, resins, lasers, and state-of-the-art ceramics, the new porcelain restorations as close to rivaling nature in strength, wear, function, and appearance. There are now sixteen-year studies showing that with properly administered technique, these advanced restorations surpass traditional dentistry. With these new materials, it is possible to bond teeth back together, virtually restoring them back to their majority of circumstances, metal fillings or crowns can be replaced with techniques that are more conservative. It is therefore possible to preserve the healthy, remaining tooth structure, rather than whittling teeth down, as a pencil would be ground away by a pencil sharpener. Many restorations are fabricated using a metal lining covered with porcelain. These types of crowns are used because they are cheap and easy to place in the mouth. They are opaque or flat looking because they do not let light pass through as a natural tooth does. There is often a dark or gray line next to the gum-line. We provide exclusively all porcelain-bonded restorations. When properly placed they are as strong, if not stronger than the porcelain covered metal crowns. Notice the appearance of natural tooth again. Metal-free dentistry can restore your full dentition back to natural form and beauty. A Bridge is a custom device anchored to neighboring teeth that replaces one or more missing teeth. When a lost tooth is replace with bridgework, the teeth on either side of the missing one are prepared as crowns to serve as abutments to hold the prosthetic (replacement) tooth in place. crowns and bridges are most commonly prepared from high quality materials such as semi precious or precious metals, porcelain, or a fused combination of the two. Aesthetics, function, and tissue compatibility are considered when selecting the material most suitable for you. Full mouth restoration involves restoring the teeth, bite, muscles and self-esteem back to a natural looking and youthful feeling condition. using the latest technology and an artistic eye, full mouth restorations, heat-sensitive teeth, sore jaw muscles, recurring headaches. Do you have a filling that keeps breaking regardless of how many times it has been patched up? Do you have a tooth or a crown that chips repeatedly, even if it has been restored many times? Do you have headaches, joint aches, and teeth that become sensitive periodically? Comprehensive Dental Care helps prevent these types of problems from occurring. Traditional methods of dental care entails treating with a tooth-by-tooth approach: You typically visit a dentist and present a tooth with problems; the dentist treats that tooth, and continues to chase the problems.. tooth-by-tooth. In this patch-up approach, by the time a patient is 60 or 70 years old, there may not be any more problem to patch up since the patient may have lost all the teeth. The stability of the teeth can be compared to the system of the wheels of your car. If all of the sudden of the four wheels become irregularly worn, you would not buy just one new tire and expect it to function well with the existing tires. You would first need to adjust the balance, replace all four tires at once, and then rotate and maintain them. When one or more of your teeth break or wear irregularly, the balance of the bite must be addressed. If the foundation of the bite is ignored, the problems in the mouth worsen regardless of how well the restorations are done. 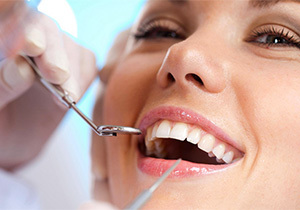 Comprehensive Dental Care treats your mouth as a dynamic system of biology, physiology, and psychology. In this complex system, careful diagnosis, treatment planning, and restorations ALL play crucial parts in the longevity of your dentition. Tooth whitening or bleaching is one of the most popular areas to cosmetic dentistry. Even subtle changes in shading can make someone look years younger. Several factors can contribute to the darkening of teeth, including the effects of age, certain foods and drinks, smoking, and medications. By using a series of clear, removable aligners, invisalign straightens your teeth with results you’ll notice sooner than you think. The course of treatment involves changing aligners approximately every two weeks , moving your teeth into straighter position step by step, until you have a more beautiful smile. And unlike braces, these clear aligners can be removed while you eat and brush your teeth as usual. An average Invisalign Course of treatment takes about a year. You’ll see your Invisalign Certified Orthodontist or Dentist every 6 to 8 weeks for adjustments and to check progress. At regular intervals, you’ll receive a new set of custom-molded clear aligners to continue the straightening process. The total number of clear aligners is specific to you, determined by your doctor for your course of treatment. All across the country, people like you now have great smiles and straighter teeth, thanks to Invisalign. Why not join them? To find an Invisalign Certified Orthodontist or Dentist in your area, just click here. That gorgeous smile you want is just a click away. Restore implants to support permanently cemented bridges, eliminating the need for a denture. Implants and bridges more closely resemble real teeth. We would be happy to talk about whether you are an implant candidate. Our Santa Barbara dental office also offers treatment for temporomandibular joint syndrome, also known as TMJ. TMJ symptoms include pain when chewing, jawclicking, and jaw popping. TMJ can also lead to facial swelling, nerve inflammation, headaches and tooth grinding. Contact us for more information. Our dental office is located at 19 W. Micheltorena Street in Santa Barbara, CA. We invite you to contact us at (805) 568-3733 to book an appointment. Rejuvenate your smile with porcelain veneers! Get same-day crowns and appearance of your natural tooth again. Restore implants and eliminate the need for dentures. Del Pinho, DDS offers comprehensive cosmetic dental services to support your smile!